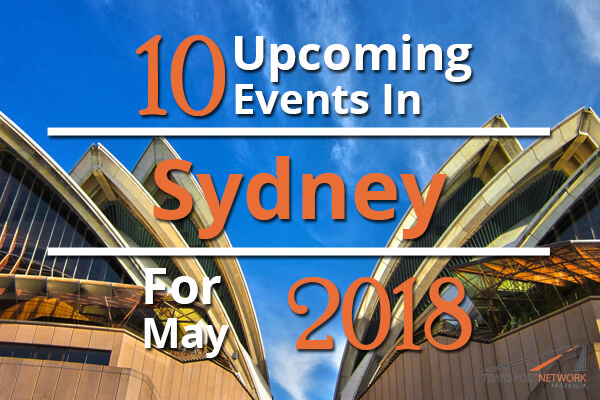 There is no denying the fact that Sydney is a premier destination for wide-ranging events. There are countless cultural exhibitions, festivals and sporting events throughout the calendar year. 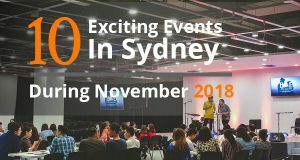 Choose coach hire in Sydney to attend some of these in May 2018. The French Tapestry Series is one of the greatest works of medieval art, and is ready to make a trip down under on the 1st of May. Inspirational to musicians, writers and poets, mysterious in origin and exquisite in craftsmanship, the series has been called as the ‘Mona Lisa of The Middle Ages’. There are a total of 6 tapestries in the series, each of them featuring a slim blond woman with lion on one side and unicorn on the other, against backgrounds featuring symbols, animals and plants. Returning after 7 long years since their last sold-out shows, the Scottish collective (indie-pop), Belle & Sebastian will be performing on the 5th of May at the concert hall of the Opera House. After announcing their latest release of EP Trilogy, How To Solve Human Problems, they will be tossing up a series of albums. This implies there will be new melody in the series next to classics like ‘Dogs on a Wheel’ and ‘The Boy with the Arab Strap’. IRONMAN is one of the iconic global events to be held in Australia on the 6th of May, 2018. Ever since its inception in 1985, it has been a popular event among people from all walks of life. 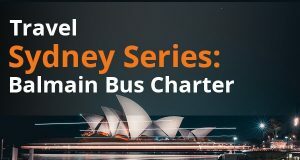 It will take place in Port Macquarie, around 4 hours to the northern part of Sydney. From the run course in the heart of Port Macquarie to the biking course across the Pacific Ocean, and swim course in Hastings River, you will find everything. A host of participants flock in to take part in these events suitable for people of all ages and abilities. Spanning across a period of two months, starting 1st of May, the Hunter Valley Wine and Food festival is going to be bigger and better. This highly anticipated event showcases the diverse food and wine culture of the region with a series of theme-based activities. The festival is an ideal remedy to clearing winter clues, as you indulge with leading chefs and winemakers of the region, and participate in a wide range of activities to tweak your cooking skills. For a more soothing experience, unwind beside an open fire with a glass of wine. Due to be held on the 12th of May, Crookwell Potato Festival is a must-visit event, with an opportunity to witness different types and various forms of potato. There is so much that can be done with this vegetable. The event celebrated 150 years of growing potatoes, with different varieties including Ruby Lou, Ratte, Red Ia Soda, King Edward, Nicola, Pink Fir Apple, Roseval, Granola, Rideau, Desiree, Coliban, Atlantic, Kennebec, Sebago and Pontiac. The String Family will be performing again, with the group featuring voice and percussion, two violins and two cellos. There will be heaps of market stalls including that of handmade jewellery, lavender products, Italian pottery, garden art, clothing and hats. It was in the year 2013 when Barry Humphries bid goodbye to Australian Stage Show with his Eat, Pray, Laugh! Tour. In 2018, he’s returning for another tour on the 17th and 18th of May. The epic comedian will be doing a full Farnham show, and unlike previous shows, he won’t be taking the centre-stage this time as Sandy Stone, Sire Les Patterson or Dame Edna. He would be telling his career story, thus promising an exciting performance. As the name suggests, the Ballpit party is going to be all about colourful plastic balls swamped in the underground bar, The Junction. From 18th to 20th of May, the entertainment venue will turn into adults’ playground. It is going to be epic with LED illuminations and DJs spinning live tunes as you boogie, swim, cannonball, dip, jump and dive in the balls. Lights will be pumping with energetic music in the wonderland. Enjoy pizza and champagne at the early Boozy Bottomless Brunch session. Jackie Gillies brings to the table, a larger than life show, set to inspire, empower and motivate. She’ll be spreading her words of wisdom by connecting with people, and offering guidance and inspiration to all. The show starting 19th of May, promises to be a cherished party with Jackie and the main objective is to bring people together, restore one’s inner sparkle, resolve issues and share stories. Let yourself truly shine in this competitive world. The most iconic and the largest running event in Australia is back for another stellar event to be held on Sunday, 20th of May. Runners of all fitness levels are welcome to take part in the event, as we’ll witness the elite Wheelchair Sprint for this year. The 21.1 km course will take you through some iconic landmarks in Sydney, including Hyde Park, Pyrmont Peninsula, The Rocks, Harbour Bridge, Botanic Gardens and Opera House. Grab your fellow runners, colleagues, friends or family members for an ideal day out , as you run for charity and raise funds for a noble casue. Bringing their silver jubilee tour to a finale, the Whitlams will be touring Australia in 2018, with its destination In Sydney on the 25th of May. It all started in 2017, with sold out shows in each state capital. The finale will be ending with their favourite small pubs and theatres throughout the country. The 4-piece band including original members Terepai Richmond, Warwick Hornby, Jak Housden and Time Freedman will be playing all of their classic hits, including ‘Fall for you’, ‘Blow Up The Pokies’ and ‘No Aphrodisiac. Joining them on stage will be the 90s favourite, including Deborah Conway and Alex Lloyd.